Is chivalry dead? 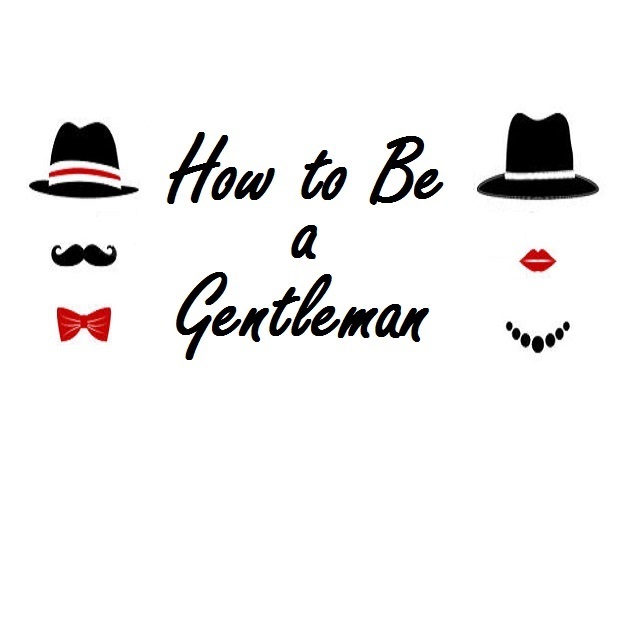 How to Be a Gentleman argues that the time when gentlemen were gentlemen is over, but that it’s not necessarily a bad thing. The Gentleman (William Beddoe) hosts the eponymous TV show on which he covers the basics of gentlemanly etiquette (holding the door open for a lady being the big one), with the assistant of the Lady (Robin Hodge), his female assistant who smiles, sashays, and lays down some serious smack talk by the end without sacrificing any delicateness whatsoever. Threatened with cancellation by the Charlie Brown teacher-esque producers, the Gentleman and Lady travel to the Gentleman’s birthplace, a rural farming village, to try to film an episode that will boost their ratings. Rather than making jokes about stereotypical male characteristics like it could have, this show offers the more sophisticated idea that while etiquette certainly still has its place in modern society, defining polite behaviour by one’s gender is an outdated concept that is as harmful as it may be appealing. This point is driven home a little excessively when the Gentleman finally loses it and goes on a rant that suggests he believes in eugenics, an extension of the ‘is this really enlightened’ theme that goes just a little too far (it makes more sense in the show than it does here). Some politically incorrect terms are thrown around, but the Lady (who seems to represent the future as much as the Gentleman represents the past) tries her best to correct them – I only wish that her comments, which usually come in the form of an aside after the Gentleman has made some blunder, could come about organically in the scenes themselves, since as it is it seems like she’s sweeping up the politically incorrect mess the Gentleman has made. There are also a few historical stories of real gentlemanly behaviour, such as (my favourite one) when a guest of the Queen of England, during after-dinner tea, mistakenly raised the cream to his lips and began drinking, to which the Queen promptly followed suit so as not to embarrass her guest – my favourite not just because it shows that anyone can be be a gentleman but also the idea of the Queen daintily drinking from a creamer is just very amusing. Both performers bring great energy to their roles – the idea of a TV show revolving entirely around etiquette is a little cartoonish, and the tone of Beddoe’s and Hodge’s performances matches this nicely. He is both suavely nonthreatening and an intolerant Archie Bunker type: Beddoe seems to play one as a front for the other, which makes his breakdown all the more engaging and funny when it happens. As the Lady who is cheerful and demure without being weak, Hodge is charming and a delight to watch, particularly at the end when her character is given a fantastic opportunity. How to Be a Gentleman is a show that is pleasantly surprising in its depth, matched by two great performers and (in the case of Beddoe’s costume) one bitchin’ ascot. Whether you strive to pull off etiquette or you can’t be bothered, this show makes a point about what we consider ‘nice’ can sometimes conceal some not very nice things at all.